Girl, Interrupted with Angelina Jolie and Wyonna Rider. Hell yeah, take this! So you think you're a Rocky Horror fan eh? Put your knowledge of that 'science fiction, double feature' to the test...with this test! Then do the time warp again - go on! You know you want to! So do you enjoy adventure? Do you love the thrill of danger? The adventures that Lucy and Luca have to face are far beyond your imagination! 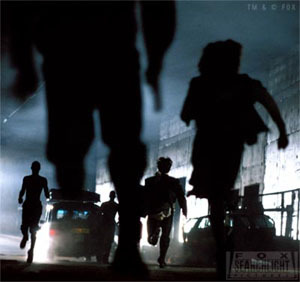 How much do you know about the British movie, 28 Days Later, and the sequel, 28 Weeks Later? Danger, Adventure, Mystery, Emotion, Skill! This fast paced story is heart warming but also exciting! If you love the movie then this quiz is definitely for you! Do you like magic? Mystery? Adventure? The magic, mystery and adventure in The Secret of the Nightmare Necklace is beyond compare!